The Legacy Award recognizes a Women in Commercial Real Estate (WCRE) member who exemplifies the highest standards of professional, social, and cultural leadership — one who has given freely of time and energy to the promotion of excellence in commercial real estate. This award recognizes a WCRE member who exemplifies the highest standards of professional, social, and cultural leadership — one who has given freely of time and energy to the promotion of excellence in commercial real estate. The recipient realizes that leadership skills are life skills and that leadership is a process, not a position. The recipient approaches her activities with humility and a concern for humanity, takes action, and is uncommonly passionate for her work. The recipient exemplifies the qualities of a true leader, is a visionary, a pacesetter, a colleague with expertise, and has a continuing commitment to her leadership activities. The recipient understands that changes need to be anticipated and responded to if growth for the organization is going to continue for years to come. 2018-2019 president rhonda thomas, right, with davi adams, middle, and Barbra Bedwell, left. 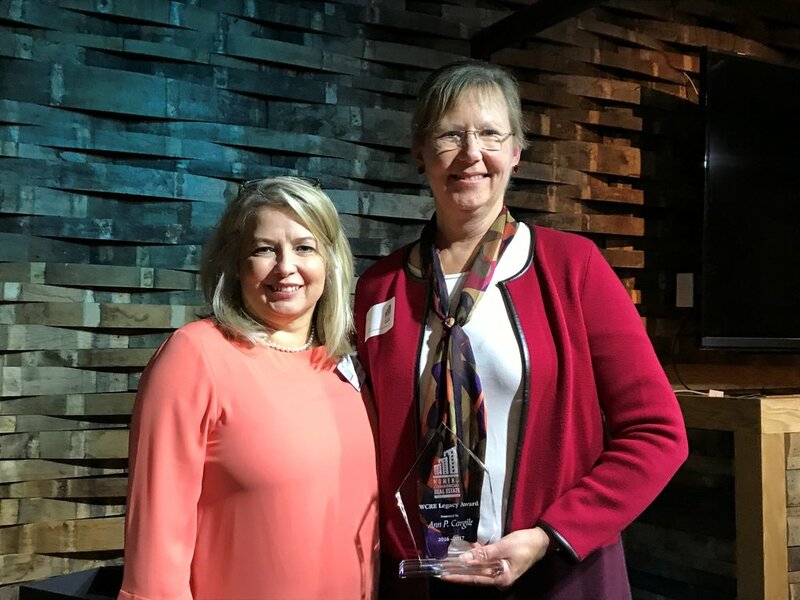 Our Legacy Award Winner this year has been a member since June of 1993, Ann Cargile, has made herself available, whether we needed her to lead a discussion at a luncheon, sit on a panel for Economic Forum, or review our bylaws every other year. She and her firm have always been great supporters of WCRE, not only with sponsorship dollars, but with their expertise. She is try a great role model and has been and continues to be for women who are striving to learn, move up in their company, and be known as an expert in her field. Ann's area of expertise include Commercial Leasing, Insurance, Real Estate Acquisition and Disposition, and Real Estate Finance. She represents landlords, tenants, property managers, and lenders, among others. She advises borrowers when negotiating loan terms and parties when structuring joint ventures. She sits on numerous committees, including the Insurance Committee of the American College of Real Estate Lawyers. She has worked on numerous high profile projects throughout Tennessee totaling over $434 Million in acquisition and financing money. Ann is a frequent speaker on real estate related topics to national, regional, and local groups and has written numerous articles for legal publications. Among many other accolades and honors, Ann has been consistently listed as "Best of the Bar" since 2009 and a Power Leader in Commercial Real Estate since 2015. It is with honor and thanks to Ann for all of her hard work and availability to further the success of Women in Commercial Real Estate, that we present the 2016-2017 WCRE Legacy Award. Each year, WCRE awards an actively-involved member with the Legacy Award. 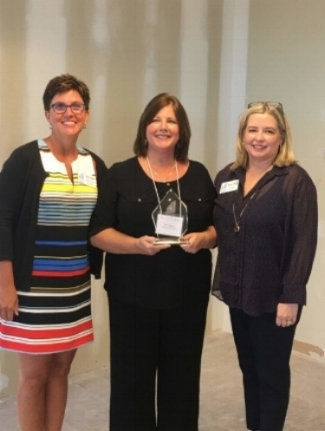 At the September membership meeting, Donna Wheeler was awarded the 2016 WCRE Legacy Award. Donna began her career in real estate in the mid-1990’s as a property administrator, moving quickly into a position as a property manager and then a senior property manager. She currently manages a portfolio of Class A properties and their onsite staff. Within WCRE she has served as President, Secretary, and co-chair to the Community Affairs, Education, and Connection committees, where she led the organization to some of the most successful Connections held since its inception. 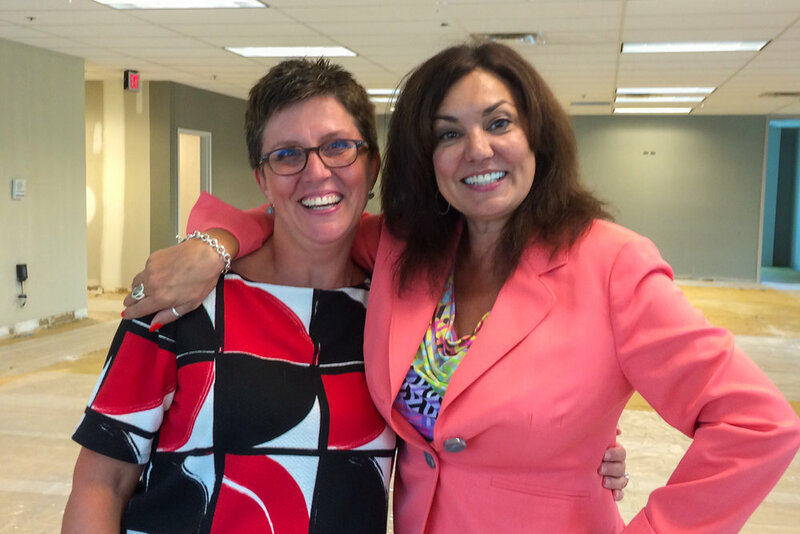 2016-2017 President Barbra Bedwell, left, with Donna Wheeler.